American Electric Power is a major investor owned electric utility in America. The company was formed in 1906 and was known as American Gas and Electric Company. It is one of the largest electric utilities in the U.S., serving over 5 million customers in 11 states. It is into regulated utility operations and enjoys the strongest transmission network in the country. It is also one of the nation's largest, most efficient and most innovative generation fleets. It has it’s headquarter in Columbus OH. It boasts of around 38,000 megawatts of generating capacity, a nearly 39,000-mile electricity transmission network and an edge of 765-kilovolt extra-high voltage transmission lines than all other U.S. transmission systems combined. There are currently 0 consumer reviews about American Electric Power available. Share your review. Please take a note that you are about to post a public review about American Electric Power corporate office on CorporateOffice.com. This review will be public, so please do not post any of your personal information on this website. 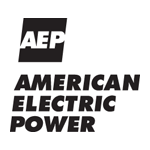 If you would like to contact the corporate offices of American Electric Power, please use their contact information such as their phone number, website, and address listed above to contact them. However, sometimes staff from American Electric Power headquarters do read the reviews on this website.